What are settings of a scheduled task on my Windows 8 computer? A setting of a scheduled task defines define options other than those defined as triggers and conditions. 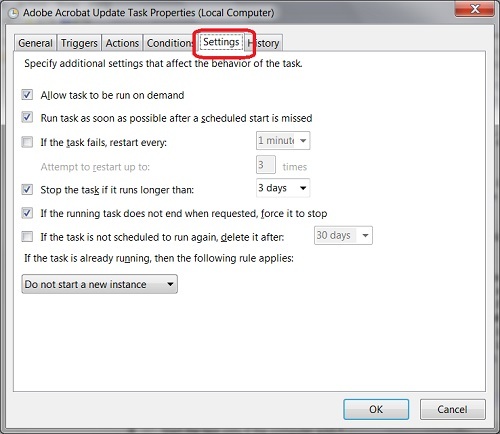 For example, if you double-click on "Adobe Acrobat Update Task", you will see the properties screen of this task.